Yes, there’s a need for CPR on the job! Whether you work in an office, in retail or in any other profession where CPR isn’t a required part of the job title, you might think that knowing this life-saving process isn’t an essential part of your role. While it may be true that, unlike working in medical or child care, there isn’t always a direct need for CPR day-to-day, having the skill and information to save somebody’s life is always important. Unsure why you might need CPR on the job or don’t know if this statement applies to you? Read on to find out more about why knowing CPR in any workplace is a must; both as an employer, and as an employee. At its core, CPR is a method of life-saving resuscitation that can be employed when someone is suffering from cardiac arrest. The action of pressing hard on the chest helps to pump blood around the body when the person is unable to do so while providing rescue breaths acts as the function of the lumps; pushing oxygen around the body. Many workplaces require CPR certification because it is a risk involved in the job. This includes any medical-based roles, as well as working in childcare or within law enforcement. Because there’s an increased chance that people in these jobs may encounter people in cardiac arrest, it’s a must to understand how to save someone’s life via these specific methods. Maybe you work in a small office space, or you’re a construction worker or retail employee. In all of these cases, you’re likely to come into contact with other people multiple times a day. When it comes to someone suffering cardiac arrest, this can happen anywhere at any time. If someone stops breathing or collapses within your workplace, fast action is what will save them. Depending on your location, the time it takes for an ambulance to reach a person in distress can be prohibitive to ensuring that the person gets the best care. With CPR-trained staff, they can receive the immediate help they need to ensure that EMTs can take over the resuscitation process once they arrive on the scene. According to JEMS, the public having knowledge of CPR can save countless lives that may be lost when waiting for EMTs to arrive (source). 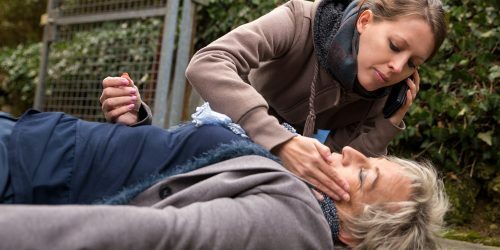 By training those in any public-facing workplace on life-saving techniques, the survival chances of those who suffer from cardiac arrest are much higher. The benefits of CPR for businesses that may not directly be required to be certified are twofold. For public-facing companies, they offer an additional level of safety to customers and reduces or mitigates risk to those customers of injury or even death. This customer care is another way in which you can provide an excellent service and support to those surrounding your business. In a study on casinos in 2000, it found the odds of survival following CPR for those in cardiac arrest rose to 74%; proving just how essential these techniques are in non-conventional settings (source). CPR doesn’t just benefit the public who interact with your business. It also provides an additional way to safeguard your staff and ensure their care. With employees equipped with CPR, a member of staff collapsing is no longer a cause for panic and confusion. Your employees will be equipped to manage and control a stressful situation and provide their colleague with the care needed should they experience cardiac arrest. According to Popular Science, when it comes to cardiac arrest in any environment, including the workplace, the application of CPR can make all the difference. CPR is a must to preserve the life of an individual, and without that system there, their chances of survival can reduce by more than two-thirds (source). While the obvious and primary benefit of CPR is the act of maintaining someone’s bodily functions until emergency services arrive, there are other benefits to training in CPR. Firstly, it offers direct insight into the signs to watch out for in cardiac arrest in comparison to other health concerns, allowing you to administer the appropriate care to an employee or customer quickly and effectively. CPR also offers peace of mind for those who are trained in it, allowing them to move into action faster and perform more decisively. While it may be tempting just to look up how to do CPR online, completing a certification and having first-hand knowledge can make all the difference, and ensure you are following the correct methods to help a person in cardiac arrest. For those able to employ logic in stressful situations, CPR can be a vital addition to their toolbox. Those few minutes of panic can mean the difference between saving someone’s life or otherwise, so helping your employees to learn how to stay calm and do the right thing is of massive importance – and is something CPR training can provide. One of the concerns that employees can have surrounding learning resuscitation is that they will be ‘out of practice’ should they be required to perform CPR. 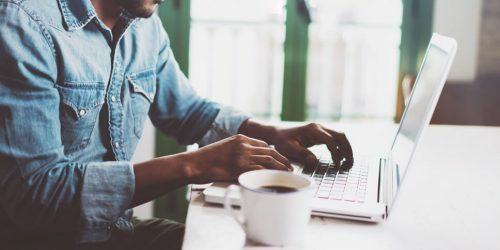 Frequent refresher courses and repeat certifications can ensure that the techniques are fresh in their mind. It’s also important to note that, as with the rest of the public, high-performance CPR isn’t required to help save someone’s life; simply following the steps and rhythm of standard CPR can be essential in many cases. For employers, providing yearly courses can offer your employees peace of mind and all the information they need to employ CPR should they need to. From warehouses to offices, stores to cinemas, equipping your staff with CPR training is more than just a good idea for any modern business. It’s a must to ensure you’re providing your staff and customers with the support they need, should such a stressful situation occur. For your employees, it shows your commitment to their safety – and to the public, it provides them with peace of mind when they enter your premises. 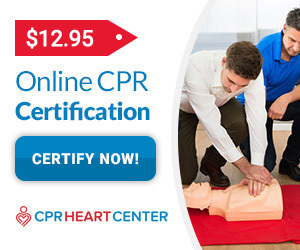 If you’re considering CPR certification and training for your business, CPR Heart Center can help to provide you with the training you need. See our full list of CPR classes online today, including First Aid, CPR, and BLS, or contact us to find out more about what we can offer your business.